This pair of junior skis is suitable for beginners and advanced skiers, it is rented with a pair of ski poles. 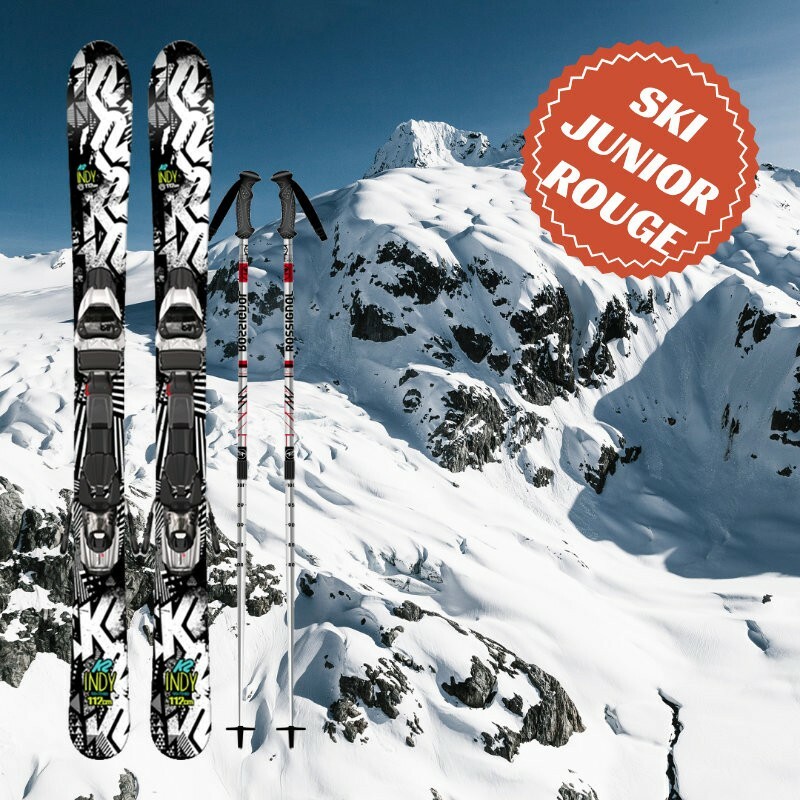 Junior red ski range is designed for beginner and intermediate skiers and children measuring less than 1 m 50 who operating on green to blue slopes. 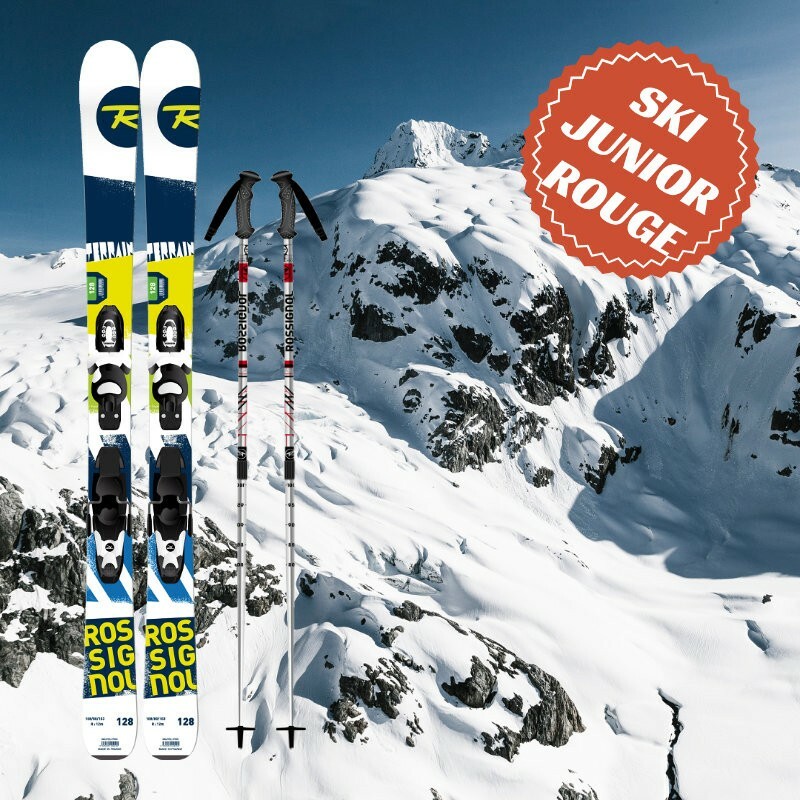 With our sharp selection of skis, your children will be assisted in their first turns with a tolerant and easy to use ski. 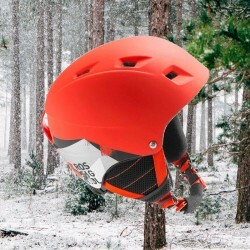 Skimax strongly recommends the use of helmets for young skiers. Available models: K2 indy, K2 luv bug girl, Nightingale jr, team Head or equivalent model.